This was my team’s entry in the 2015 Global Game Jam. It was created in 48 hours using Unreal Engine 4. Neither me nor my teammates have ever used UE4, so this was very much a learning experience to give us some serious time using the engine. The theme for this year’s jam was, “What do we do now?”. It was this seed that gave us the idea: What would happen if the game’s hero fails? What will happen to the princess? Who will finish the quest? The NPCs will! The countless number of store owners, quest givers, layabouts, and nobodies will take up the hero’s quest and try to save the day. Game Over Ever After is a top down minion controlling RTS-esque game. The player controls a set of pawns that will work together as a group to complete tasks and puzzles throughout the level. You can check out our team’s Global Game Jam site HERE. The team liked the concept of the game so much that we have and will continue to develop it in the future. I will be sure to post the updates here! Tilting at Windmills is a fast paced competitive multiplayer game where two players must work together to defeat common enemies while competing with each other for the high score. The land is under attack and Don Quixote must save the kingdom! He and his squire Sancho ride together striking down terrifying foes, but Don is having trouble telling the difference between real monsters and those in his imagination. While Don charges at every monster he thinks sees Sancho must try to save as many windmills as possible. Cor Ex Machina was created during the 2013 Global Game Jam. The game was made in the Unity 3D engine and was awarded 2nd place in the Atlanta jam site. Here is our team page for that year’s jam where you can see more about the game and our team. The basic idea of the game is that you were a tiny nano-bot circulating through the heart of a giant robot. You maneuver your bot around pushing and pulling the orbs, trying to guide them through the obstacles. If you wrangle enough of the orbs to the heart in time then the robot’s heart will beat once more. You can play the game here. To play the game, move your mouse around to guide your nano-bot around the level. Pressing the left mouse button sends out a pulse that pushes all the orbs away, while holding right click pulls the orbs towards you. You have to balance the push and pull mechanic as you can only pulse so much before you must pull, and vice versa. You can use the size of the nano-bot as an indication of where you stand in the balance. 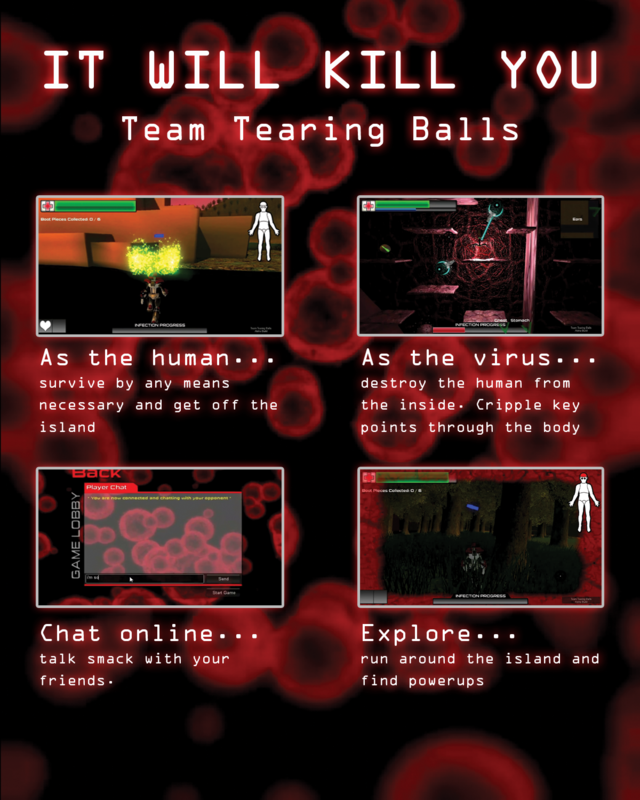 This project was created during the 2011 Global Game Jam. The GGJ is an annual event where a team of developers are tasked with creating a game in 48 hours. 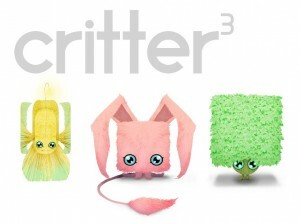 My group, consisting of 2 other programmers and 4 artists, created Critter^3. We have continued to work on this a bit and we hope to continue developing it and releasing it to a mobile platform. Critter^3 is a 3d puzzle game where the player must balance the resource squares around each critter (think of combining a Rubik’s cube and Sudoku). Each critter has a specific combination of resource cubes that must be adjacent to them to satisfy their requirements. Above each critter is an indicator that lets the player know the most needed resource of that particular critter. The player must use this to balance the resources around the cube so that each critter’s resource needs are satisfied. You can play the game in your browser here. To navigate around the cube, hold down the right mouse button and drag the mouse to rotate around the cube. Above each critter is the most needed resource for that critter. Click the cubes adjacent to the critters to cycle through the resources. I recommend starting with the 2 resource version first. 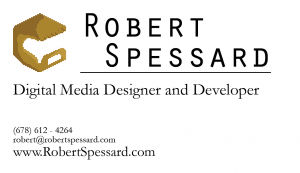 A friend of mine started making a business card and suggested I do the same. I don’t know if I’ll end up getting these printed or not, but it was a fun day project nonetheless. This project was for my senior design project at Georgia Tech. The project was proposed by David Reeves from Romp Interactive. He wanted to make a game that uses the iPad as a console while using other iOS devices as controllers for the game. We took this prompt and decided to make Mini Mages. The game is a 4 player mini-game competition. Each player picks a wizard to play as from the selection screen when starting the game. Once everyone has been connected, the players are given the choice between three mini games (Summon, Potions, and Battle Dragons). The Summon mini-game is a 4 player version of rock, paper, scissors. Each player picks a monster to summon (rock, paper, or scissors) to fight against the main wizard in the middle of the screen. If the player loses, based on the rules of traditional rock, paper, scissors, he is eliminated. The last man standing wins the mini-game. The Potions mini-game is similar to the old game Simon. In the middle of the iPad is a crystal ball. The crystal ball flashes a certain number of ingredients to put into the cauldron. The player must put these ingredients into their cauldron in the correct order in order to progress to the next round. The last person standing wins the round. The last game, Battle Dragons, is a top down shooter where each player controls a dragon that flies around the iPad and shoots fireballs to destroy the other players. The game reads the accelerometer data from the player’s individual iOS devices to control the dragon. As with the previous two games, the last person standing wins the round. The first player to reach five points wins the game is presented with a trophy. The CM-13 team: Wes Anderson, Joe Maliksi, Rose Peng, Ali Wallick, and myself. This game was made for my Hand Augmented Reality class I took my last semester. Secret Garden is a handheld augmented reality game where players must guide a girl through a hedge maze while avoiding traps and enemies. Players control the game by placing special markers onto the maze that create plants to change the girl’s movement. For example, a bamboo marker will block off a path and change the girl’s direction. In addition to completing the maze, players may also gather the three loaves of bread scattered throughout each maze to increase their ranking for that level. The team for this project included myself and two other Tech students, Rose Peng and Ali Wallick. 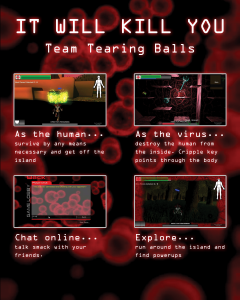 It Will Kill You is a cross between a platformer and strategy game where one player plays as a human and another player plays as a virus within that human. The players are unable to interact directly with one another and are forced to use varying means of indirect interaction to slow each other’s progress to their final objective. For the human, this objective is to reach the isolated scientist at the observatory who is the only person who knows the cure to stamp out the virus. In order to get to the observatory, the human must collect six parts to assemble the Momentum Boots which allow the player to redirect his fall velocity in a new direction. This allows the player to fall off a building and shoot across the gap that is initially unnavigable to the human. To buy time to get to the scientist, the human can inject antibodies into his body to attack the virus or he can surgically implant defense turrets to fend off the virus’ attacks. The virus’ objective is to replicate enough (build replication factories) to overwhelm the human’s immune system and lead to his untimely demise. The more factories the virus builds, the faster the virus wins. To slow the human down, the virus can attack various body parts to inflict area-related side affects that impede the human’s movement and ability to pick up powerups. However, the virus must use his energy wisely and budget it between damaging body parts, building factories, healing factories, and destroying antibodies… if he wants to succeed. The Tearing Balls Team included Sam Brown, Henry Dooley, Matt Lovett, Ali Wallick, and myself. 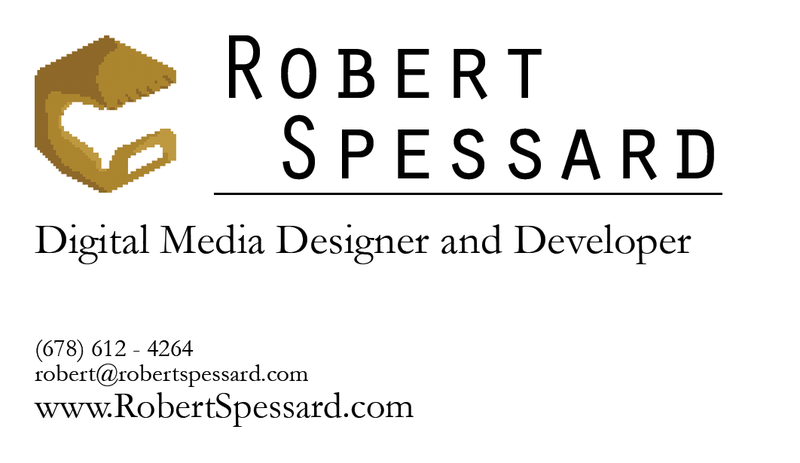 My name is Robert Spessard. I am a recent graduate of the Computational Media program at the Georgia Institute of Technology. 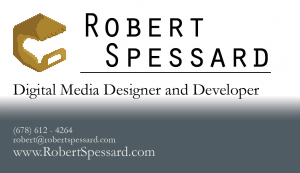 My focus during my time at Tech mostly centered around video game programming and design. 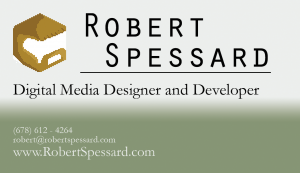 I setup this quick WordPress as a temporary online blog and portfolio. This website will be my homepage as I continue to upload more of my past and current projects as well as blog posts relevant to my work and interests. 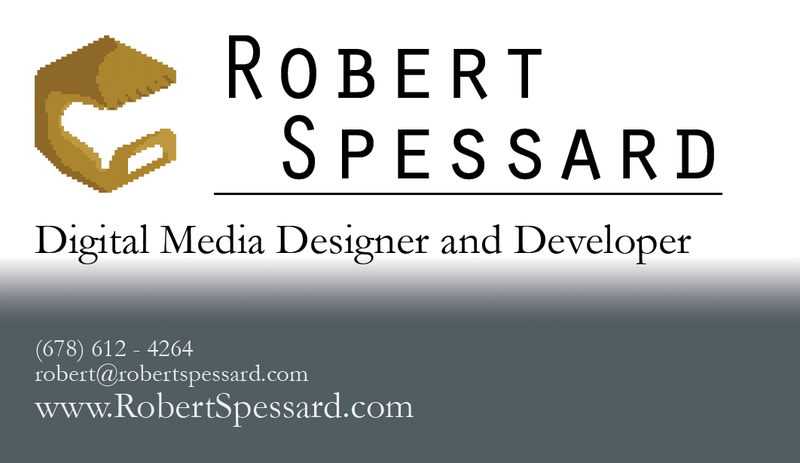 I will continue to add to this site consistently, so be sure to check back often for updates!